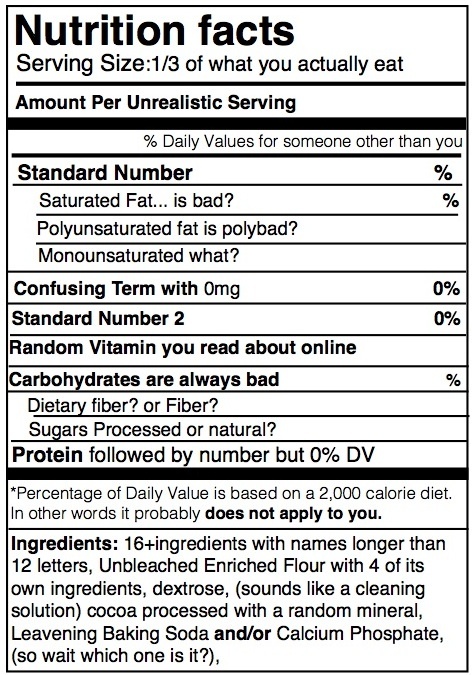 We started with a simple question: Do nutrition labels tell us the value in our foods? The answer brought us here. Nutrition labels are rigid. They communicate through the same numbers, and the same structure, every time. And you already know our thoughts on that. Foods, on the other hand, are wildly diverse. And as a result, many healthy foods get tarnished by how traditional nutrition labels represent them. We can do better. And over the next several blog posts, we’re going to try. Our aim: nutrition labels that answer the question, “What’s the value in this food?” Labels that better enable healthy decision making and allow power foods that fuel the body to outshine lower value foods, even if the latter have fewer calories. At TwoGrand, we don’t count calories. And we don’t push a universal nutrition philosophy. We simply make it easier than ever for you to improve the value of what you’re putting into your body every day. To change your habits for the better, for good. We aren’t going to teach you how to read a nutrition label, and we aren’t going to tell you what to eat. Instead, we hope to drive meaningful thought and debate about the way foods are evaluated and perceived. Don’t think of it as a nutrition label. It’s a value indicator. This entry was posted in Health and weight loss, Nutrition labels, Nutrition science, The TwoGrand philosophy and tagged calorie counting, calories, carbs, fat, Food, food science, Health, nutrition, nutrition labels, twogrand. Bookmark the permalink.